While strolling along the Portuguese cobblestone pathway, I dream of nothing more than to drop into a typical Portuguese Café for a cup of warm Galão and a piece of chocolate salami. Not to mention the creamy pasteis de nata with a pinch of cinnamon. A mousse, let it be caramel, mango or chocolate, is also a Portuguese discovery of mine. It became one of the most frequent desserts on our table. I love the most its light and foamy texture, it just melts in your mouth. And, as big fans of liqueurs, we flavor it each time with a different kick. The downside is… it disappears way too fast! 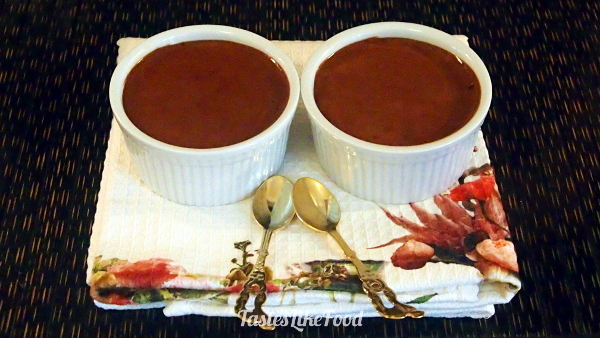 The recipe below is a slight modification of the chocolate mousse recipe from a very nice blog about Portuguese food. I changed the proportions to get the consistency I was looking for, and added some liqueur. 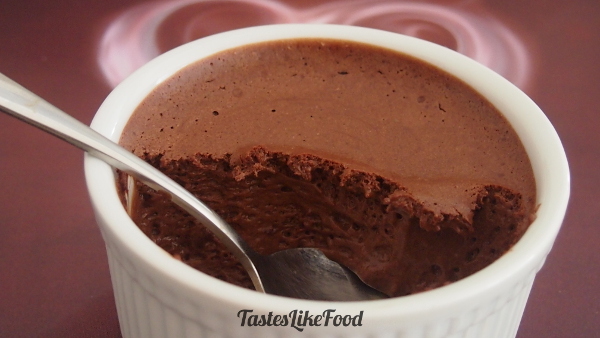 Put chocolate and water in a medium saucepan and under low heat mix together until the chocolate melts. Add the liqueur. Take the saucepan from the stove, add butter and mix until well combined. 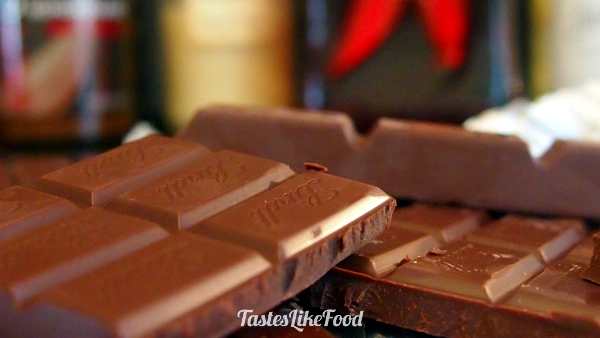 Add egg yolks, one at a time, and again mix well until you get a uniform chocolate paste. Put the mixture aside. In a small bowl beat the egg whites at medium-low speed for 2min. Add the baking powder and continue beating for 1min. Add sugar and beat until stiff peaks form. In another bowl beat the crème fraîche for 4-5min. Add the egg whites to the chocolate paste and mix until combined. At the end add the crème fraîche and stir until you get a uniform mousse. 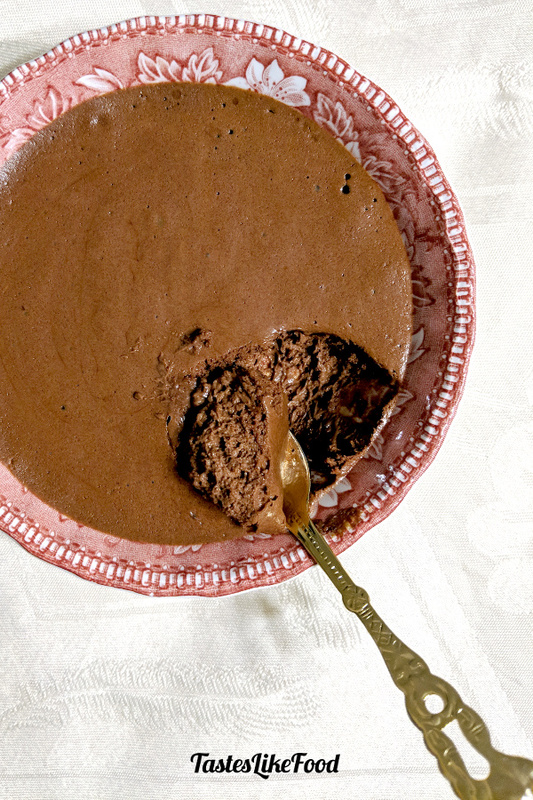 Divide the mousse into 5 dessert bowls. Cover with cling film and keep in the fridge for at least 3 hours before serving. Can this be done without the liqueur ? Would it change anything on the consistency ? You can replace the liqueur with water (or flavored water eg. coconut or rose).